HockeyBuzz.com - Paul McCann - Game Four - Command or Toss-Up? Game Four - Command or Toss-Up? A couple of story lines are showing themselves in this series, and they will have an impact on tonights game four. HockeyBuzz.com - Paul McCann - NSH/DAL Series Preview - The Road to the Cup Starts Tonight! Both teams come into the series playing well and on a bit of a roll. Let's break it down... This is a tight one, whoever limits the giveaways will have an edge. 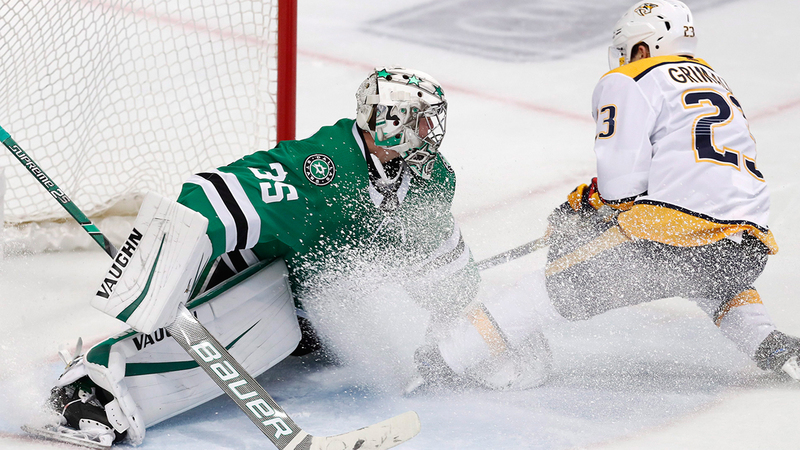 The Nashville Predators and Dallas Stars meet in the playoffs for the first time and though both have offences with some question marks, it's shaping up to be a great series. Here's how the teams stack up. ET. The game will be televised on NBCSP. The radio broadcast can be found on 97.5 FM The Fanatic with an online simulcast at FlyersRadio247.com.